For a contemporary take on smart-casual, opt for the Elegant Drape Pleat Culottes. 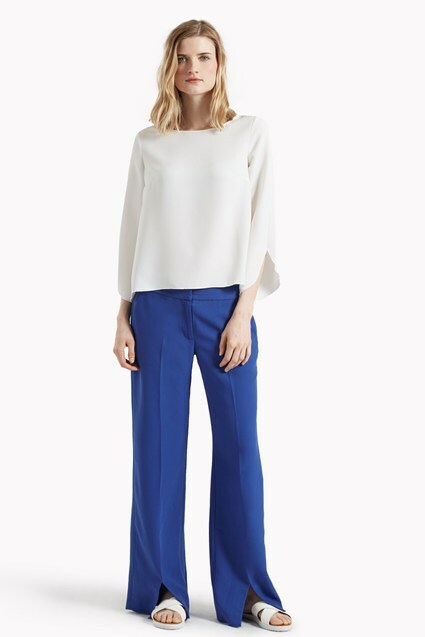 The draped culottes have a fluid, easy silhouette, with the wide legs finished with large pleats to emphasise the easy movement of the trousers. With a fitted waistband the culottes have a sleek, smart finish, perfect for pairing with a silky camisole and heels, or dressing down with a striped tee.